When patients think of chiropractic treatment, their first thought is usually the chiropractic adjustment, which is the primary method of restoring a patient's health. 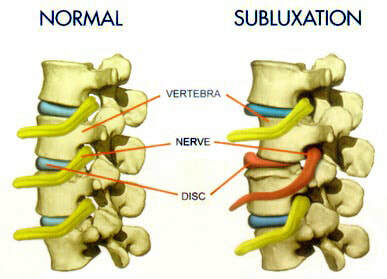 This painless adjustment moves subluxated (misaligned) bones back into their proper position. During the technique, the joints or spine of a patient are adjusted- either by hand or with the use of a device such as an activator. 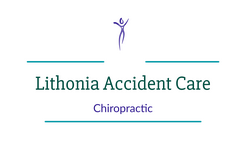 The procedure helps to initiate pain relief and stress reduction, while allowing the newly-balanced body to maintain health and prevent re-injury. 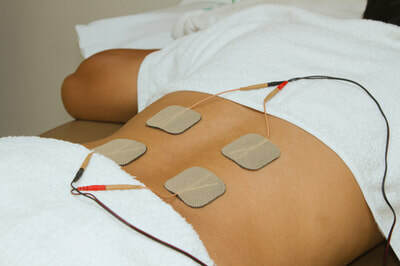 E.M.S - electrical stimulation is applied to muscles to decrease inflammation, spasms, and pain. It can also help prevent atrophy and build strength in patients with injuries. Moist Heat - relieves stiffness and improve circulation.Because blood flow and oxygen levels are increased the healing process is accelerated. 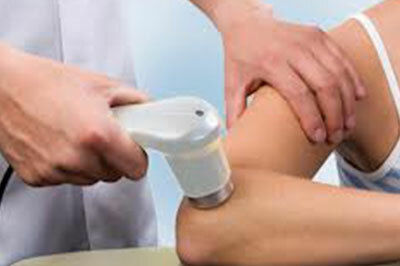 Therapeutic Ultrasound - increase in blood flow in the treated area, decrease in pain from the reduction of swelling and edema, and a gentle massage of muscle tendons and/ or ligaments in the treated area while any scar tissue is softened. Intersegmental Traction - induces passive motion into the spine for the purpose of stretching spinal joints and increasing mobility. It helps to gently and effectively reestablish normal range of motion to your spine. Resistance bands - each band has a different resistance level, you can start off slowly and build up to the larger resistance levels. Recumbent Bicycle - strengthen the muscles around the knees and hip with less joint impact. Swiss and Bosu Balls - The instability that this bouncy ball provides helps recruit all the major and minor muscle groups in your body. It also acts as a resistance that makes you put in extra strength and muscle power to complete the exercise. Wobble Board - rehabilitation of ankle injuries such as ankle sprains, lower leg and knee injuries. They can also be used for upper limb injuries, especially the shoulder.